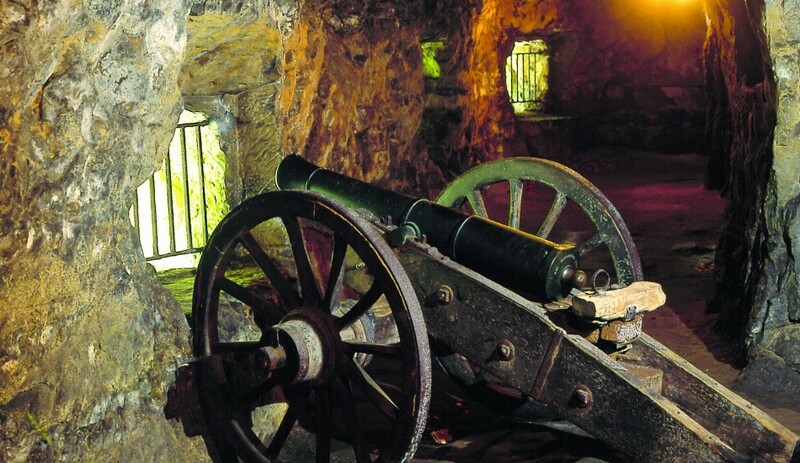 The Casemates belong to the UNESCO World Heritage. They originated at a time when the Spanish were modernising mediaeval works and building large bastions, such as that of the Beck, whose platform is occupied by the present Place de la Constitution (Constitution Square). But at its inception, this fortification was not the height it is today. The platform was situated at the same height as the neighbouring second rampart on the right (the terrace which used to be reached by the grand staircase). For defence purposes, this platform was surmounted by a cavalier, a tall masonry structure which served as a place for a few cannons and whose parapet was at the level of the present Boulevard Roosevelt. In 1673, the Spanish raised the Ravelin (an old term denoting a half-moon) of the Pâté, intended to reinforce the Beck Bastion. These works are one of the few Luxembourg fortifications to have been mainly preserved. Marshal Vauban gave the Pétrusse works their present form. In 1728-29, the Austrians built the “grand staircase” with the Bourbon Lock and in 1746 the casemates called the “Pétrusse battery”. After the fortress was dismantled in 1867, the loopholes were simply bricked up and most of the entrances closed, but one last tribute had to be paid to the old ramparts. The Arquebusiers Society, the former Brotherhood of Saint Sebastian, founded in the 14th century, was installed on the second rampart to the right and used to shoot from here into the trenches of the Fort Bourbon. At the same time, a clever gardener made use of the galleries and batteries of the Ravelin of the Pâté to grow mushrooms. After the departure of the arquebusiers in 1903, the Pétrusse Casemates were completely closed. Since 1933 they have been made accessible to the general public.